Sony Classical is proud to announce the release of Yo-Yo Ma’s new album Six Evolutions - Bach Cello Suites, his third and final recording of these works. Bach and his Cellos Suites entered Yo-Yo Ma’s life when he was four, when he learned the first measure of the Prélude to Suite No. 1 under his father’s instruction. Ma has never lost his initial fascination. Ma is more convinced than ever of the suites' ability to create shared meaning that extends far beyond the here and now. The suites' collective vision - at once divergent and coherent, empathic and objective - reminds us of all that connects us despite an increasingly discordant public conversation. The August release of Six Evolutions also signals the beginning of a two-year, six-continent journey in which Yo-Yo Ma will devote himself to Bach’s music, playing all six Cello Suites in a single setting in familiar and unlikely locations. 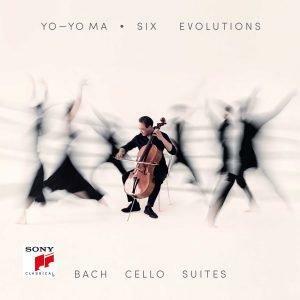 Six Evolutions - Bach: Cello Suites will not only offer an essential encapsulation of what this music means now to one of the world’s most celebrated artists, it begins a new chapter in the cellist’s 58-year relationship with this music.